When everyone thought that there were more than enough social networks with Facebook, Instagram, Snapchat, and Twitter, as well as the new and emerging social platforms based on short videos, a new network appeared at the beginning of 2018 with the intention of offering us something different to anything seen to the date, even defining itself as a different social network. We’re talking about Vero, the platform that was introduced to the world as a serious alternative to Facebook, without any kind of adverts, complex algorithms or bots, and hitting Zuckerberg where it hurts the most: its privacy and security issues. With a well-planned media campaign, it soon reached a huge popularity thanks to the fact that it was initially released for free for the first million registered users. An offer that was later extended to all new users even after reaching the figure announced by its developers. All in all, it’s a rather different social network compared to everything we’ve seen to the date, not only due to the absence of adverts, the hypothetical payment of a future subscription or its publications displayed in strict chronological order but also because its structure is completely different to any other social platform, including Facebook. That’s why it’s necessary to write up a series of tips and tricks to get used to this social network and help to make the transition as smooth as possible. Therefore, in this guide to use Vero - True Social, you’ll find everything you need to get to understand its concept and functioning, as we’ll explain exactly what it is and what it’s for, and we’ll discuss the motivations behind its development, explaining where the idea comes free and who is financing the project that initially isn’t receiving any income due to publicity. All future profitability will depend on user subscriptions, therefore, we’ll also talk about the price of becoming a member. We’ll focus on its specific functioning on Android mobile devices, teaching you how to install and use the APK of this social network on Google’s mobile operating system. We’ll obviously also tell you how to sign up for Vero, how to create a profile and add friends to your account, as well indicating how to get more followers that can then comment and become interested in your publications, that are not only about images, photos , and text, but also links, movies, places, and books. We’ll also go into detail about specific concepts relative to this service, as is the case of loops, which are basically the relationship levels that we can establish with our contacts (close friends, friends or acquaintances and followers), or the case of collections, the place where we can find all the contents shared with us on behalf of our contacts. If you’ve decided to leave Facebook behind and open a Vero account but you still feel like a newbie on this social network, just take a look at all our tips and tricks. And you can’t find what you’re looking for, don’t hesitate to ask us on our social profiles, but only the classic ones. Vero’s Collections is basically the section where we can check all the contents shared with us by each one of our contacts through their publications. For instance, we can view movie recommendations, photos, videos, books, links, places… all the latter, shown in chronological order. If you visit its official website, you can read that one of the three co-founders and CEO of Vero is Ayman Hariri, a Lebanese multimillionaire, son of an ex-Prime Minister of this Middle Eastern country. He has financed this social network project that has been going since 2015 with the intention to compete against other already consolidated online services such as Instagram, Facebook, and Twitter. 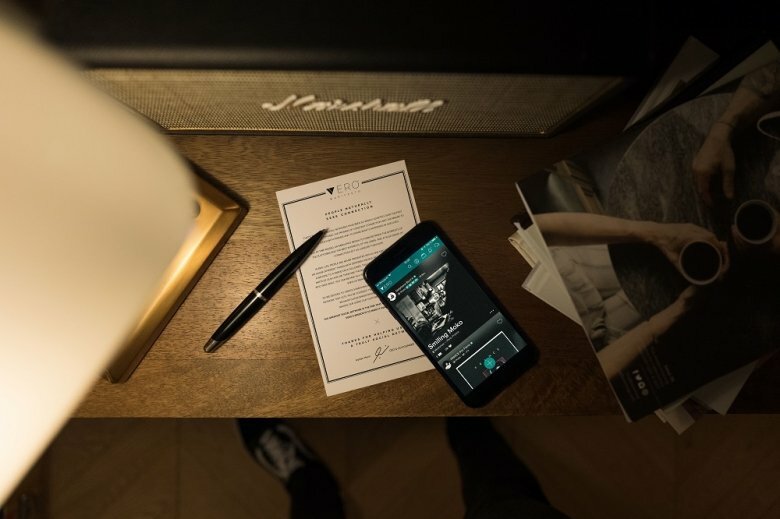 Signing up on Vero is really easy: you only need to download and install the application and then provide your email and phone number. You’ll soon receive a security code that you’ll have to use to complete the registration process. As you can see, it’s very similar to other social networks. Vero is free of charge of an exclusive group of users: only those that are amongst the first million people to download the app and sign up as users. Once that number is reached, the rest of users that wish to become a member of this online community will have to pay an annual subscription. Vero - True Social is a social network created back in 2015 thanks to the money invested by the Lebanese millionaire Ayman Hariri. But it hasn’t been until 2018 that it has become tremendously popular. Its purpose to put in touch millions of people that share their daily lives through text messages, photos or videos of the things they do or the places they visit. It can also be used to do online shopping. It intends to compete with Facebook and the rest of social networks, mainly Instagram, with a rather consolidated user base. It incorporates an innovating business model for this kind of online platform: to be able to register on the social network we have to pay an annual subscription fee unless we’re amongst the first million users to sign up.